In the most simple of terms, the carbon foot print of a campus is the amount of greenhouse gases produced as a result of normal activities. Knowing your carbon foot print is a key baseline measurement. Greenhouse gas minimization is also a part of our comprehensive environmental efforts. The carbon inventory of a campus can be complex. There are many factors that impact the amount of greenhouse gases generated. For example, our primary fuel for creating steam is natural gas. The greenhouse gas emissions of natural gas are significantly less than coal or fuel oil. A simple decision regarding the type of fuel used to produce steam can have a significant impact on sustainability. Most campuses purchase electricity. The environmental impact of electricity used is directly related to the fuels used to generate electricity at the power company. 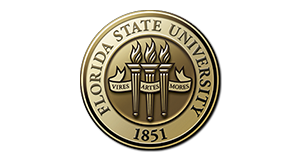 For example, electricity for the main Florida State University campus is provided by the City of Tallahassee. The city uses natural gas for the bulk of its power generation. Emissions from the burning of natural gas are less than the emissions of coal or fuel oil. The amount of cooling, heating, and lighting of buildings directly relates to the amour of greenhouse gases produced to support those services. Conservation of resources and the continual improvement of plant efficiencies has a major impact in improving sustainability. At Florida State University, our energy conservation and management program has allowed for a reduction in our carbon foot print per square foot of space. Our commitment is to reduce our carbon footprint per square foot even more though refinement of our energy conservation program, continual improvement of equipment efficiencies, student involvement, faculty involvement, and consideration of economically viable alternative fuels. Our overall carbon footprint growth is significantly less than our campus growth in square footage.